Summary: Legend has it a dolphin once helped to reunite a pair of tragic lovers. From then on, the well-adored animal became the guardian of love. At Dolphin Bay, a tale of love and myth continues. At Dolphin Bay, Zeya meets a young woman Tianbian. Her strong and optimistic character draws him to her, and Tianbian is touched by all that Zeya does for her. Nonetheless, unbeknownst to Zeya, he is nothing more than a good friend to Tianbian. When Zeya decides to profess his love, he discovers Tianbian already has someone in her heart; and he can only remain a good friend. Zeya unwittingly finds out the Xiao Pin Gai he has been searching for is actually Tianbian! This realization cements Zeya’s desire to forever protect Tianbian like a big brother. 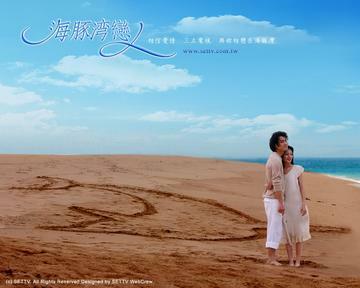 But in a twist of fate, Tianbian discovers the love she has always dreamt of lies right in Zeya.